Vancouver, Canada based Adbusters have been culture jamming for quite some time now, and they describe themselves thus – “We are a global network of culture jammers and creatives working to change the way information flows, the way corporations wield power, and the way meaning is produced in our society.” No mean challenge to take on, especially with late capitalist manifestations of corporate power excesses and top down flows of information. I have been an Adbusters follower for many years now, and what drew me first to them was their more than unconventional approach to magazine layout and design (everything that the ‘Time’ is not, if you know what I mean), and of course with convincing content that I find resonances in, it did become a regular fix. Here is a sampling of Adbusters posters dubbed ‘Homo Shopus: The Buyological Urge.’ Take a look. Homo Shopus: The final stage in our evolution. Buy Nothing Day. Design: Guy Morad and Ronen Idelman. Photo: Untitled, by Beth Yarnelle Edwards. The importance of Anas Aremeyaw Anas. Dalkomhan Insaeng: Jee-woon Kim. (South Korea) 2005. University of Padua, Italy. International PhD Fellowships 2012-2013. Culture jamming, I dont know, isnt it generally a gatherign of left wing radicals and non-conformists..?? we dont need the buyological urge…..arise. the adbusters message needs to spread further and no I am not a reddie Commie. Adbusters hmm.. where do their proceeds go? are they really against commercialism and capitalism? i like the magazine but i get confused by their stance. Even if this is propaganda…i Love it! how do Adbusters get their funding? only from mag sales..? if its only from mag sales, its amazing. Homo Shopus haha, ye indeed. visa, maestro, credit, debit rule our lives..time for a rude awakening. wonder if any of us can stay without buying anything for more than a week! We have been made slaves to the need-greed machine. Its time to want, need and buy less than more. Peace. I am trying to write a paper on an artist. I really like adbusters, but they don’t seem to have one particular artist who does the work- their magazine is comprised of work from many artists. So I am trying to trace their satire art to the first satire artist- or whomever popularized it… to one man or woman. Can this be done? Who is it? HELP! I like the one of people escaping the barcodes-Creative! fantastic magazine! has the pleasure of reading it regularly thanks to our library subs. i get depressed when i go to a supermarket/mall..the pointlessness..
Wasn’t a message from Adbusters the immediate trigger for the ‘Occupy’ movement or was it more to do the Tahrir Square ‘Arab Spring’? Anyone? 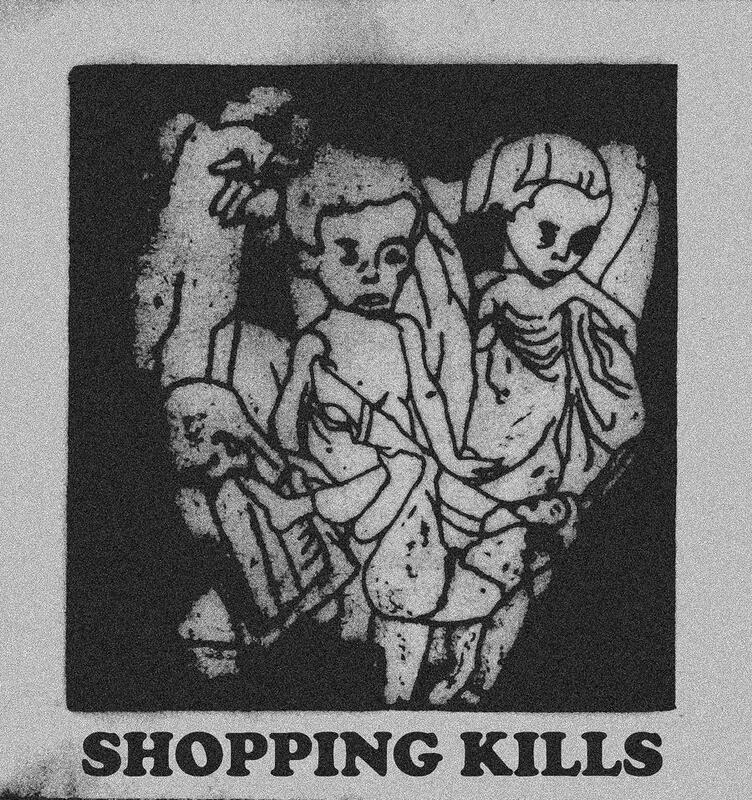 keep shopping, keep shopping, everything is alright, i dont want 2 shop anymore, and no everything is not alright. shopaholics all, lsiten up! the bar codes as jail bars is appropriate I thought. all said and done, isnt this just plain old anti-capitalist propaganda? !